Zelinda was the daughter of Vergelio Carissimo and Emma Favaretto Carissimo and had nine siblings. She grew up in a family of faith that cultivated human and religious values. 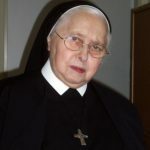 Sister began postulancy on February 20, 1949, in Passo Fundo, where she also made her novitiate and First Profession on July 15, 1952. Her ministries in Notre Dame, during the 67 years of Consecrated Religious Life, are rich in self-giving and apostolic zeal. She was an excellent cook and did that ministry for 50 years, sometimes together with taking care of the garden and the laundry. Most of her time was spent in hospital kitchens, taking care of the life and health of so many sick and recovering people. 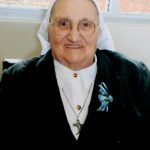 Sister M. Josênia was a cheerful person with a large, open heart. She embraced the needs of each person and presented them to the Lord in prayer. In 2008, when she was transferred to Casa Betânia, she was always available for small duties and services for the other sisters. In recent years, she dedicated herself to the apostolate of prayer, to reading and integrating her own suffering. When we celebrated traditional parties in the community, she dressed up according to the feast: in complete convent habit, a carnival costume or a special style for the Feast of Saint John the Baptist… Her simplicity delighted all. She was a woman of faith, joy, ready smile. She also liked games and jokes. Her example of a happy and fulfilled religious woman will be with us always. 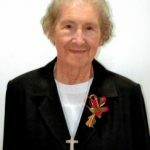 She was a great woman, a disciple of Christ! When she no longer could hold the rosary in her hands, she placed it on a table and passed her hands over the rosary beads. 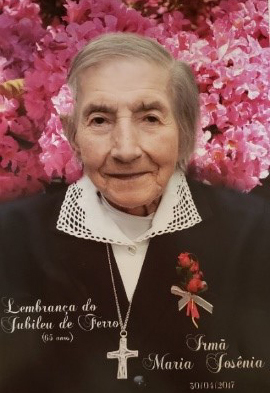 Now we have an intercessor with God and there is more joy in heaven because of her joy and good sense of humor. We thank Sister for her joviality, testimony of acceptance, of faith, and of prayer. Many sisters are grateful for her dedicated life, and for her witness. The young people said they learned a lot from her, because she knew how to go through the day with joy. 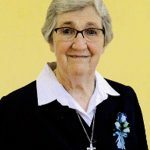 We pray for her eternal rest and ask the good God to reward her for everything she did for the SND mission, for the sick and the needy, and for the sisters in the communities in which she lived.